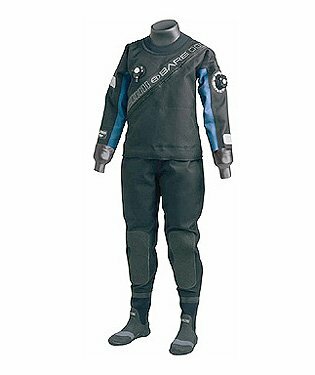 If you plan on doing any type of cold water diving, then finding the best dry suit is a must. 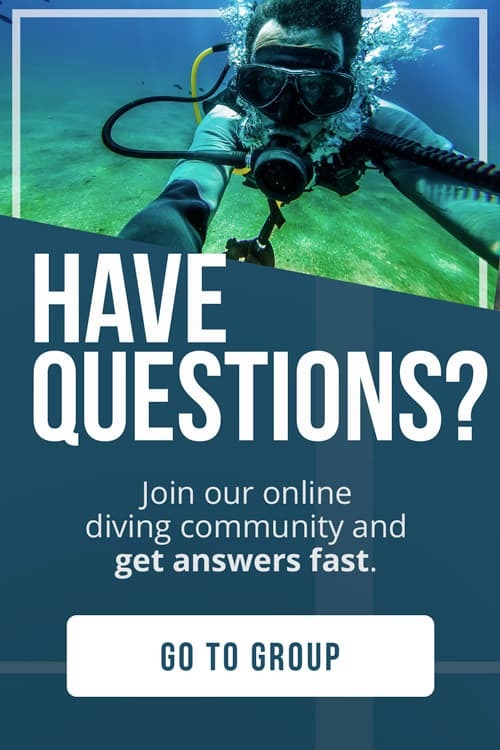 Most scuba divers around the world learn wearing wetsuits as they’re cheaper, readily available in dive shops and relatively easy to get into. But if you learn to dive in cold waters, plan on cold water diving or are diving in areas where there is contaminated water, then you need a drysuit for better exposure protection. There are some major differences between a wetsuit and a drysuit. Unlike a wetsuit, which traps a layer of water against your skin, a drysuit is 100% waterproof with seals to keep all water out. Some offer a certain level of insulation but usually you’ll wear some kind of thermal clothing underneath, while staying completely dry. 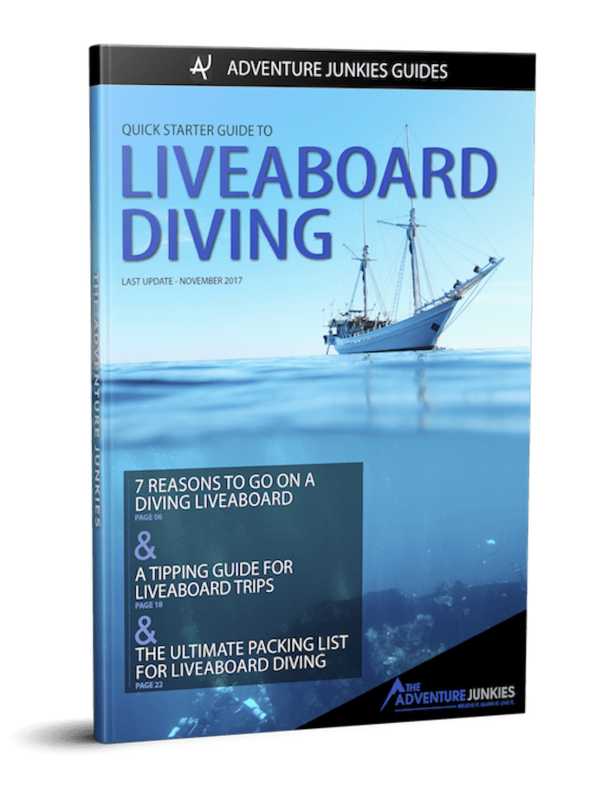 The great thing about drysuits is that they are not just limited to cold water diving – some are versatile so you can take them to warmer climates too. They’re more of an investment than a wetsuit but they will last longer. PROS: Lightweight, even with the tech boots. Drysuits typically come in three different types of materials. Neoprene is durable and has thermal and insulating properties, meaning you can wear thinner undergarments. However, they are also bulky which is not ideal if you are traveling. Trilaminate or laminated suits are better for travelers because they are the most lightweight and are more affordable. 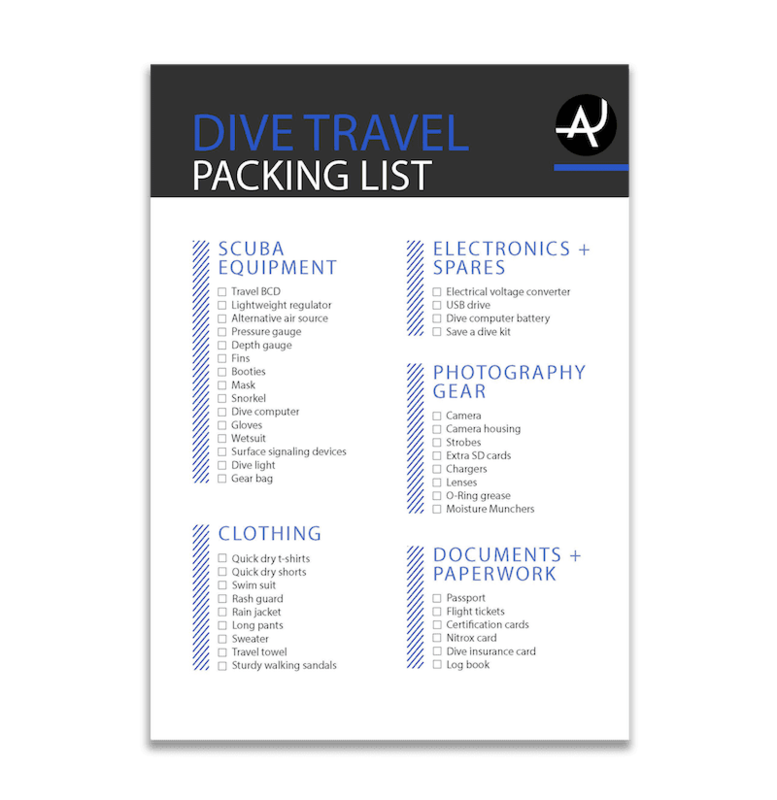 However, this material offers no insulation so you’ll need factor in appropriate thermal undergarments for cold water diving. 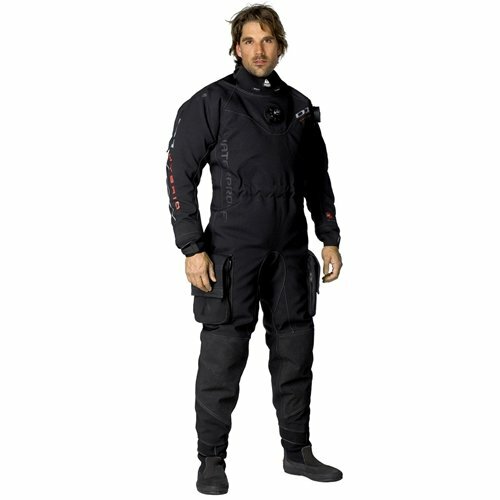 Drysuits made from vulcanized rubber are heavy-duty and durable. They are typically worn by working divers including scientific, search and rescue diving or diving in hazardous water conditions. Each dry suit has a waterproof, heavy-duty zipper to keep you dry. You’ll need to make sure the zippers are completely watertight. There are typically two locations for the zips – one diagonally across the front or on the back, running from shoulder to shoulder. There’s no performance difference between the two – it comes down to personal preference. Some drysuits come with attached boots, others with attached socks. 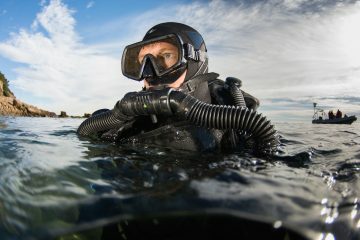 Boots are integrated into the leg of the drysuit, which may be better suited to divers who do a lot of shore dives and need to walk or climb over rocks. 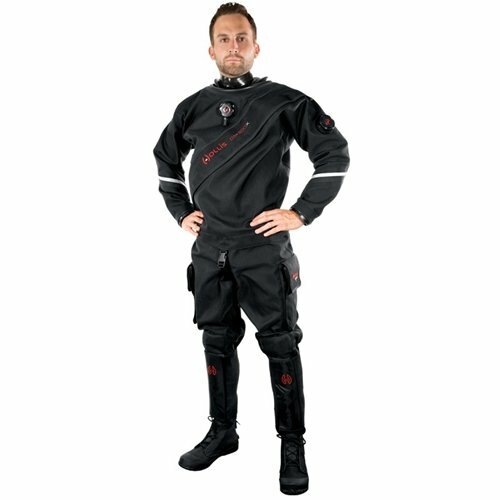 Other drysuits come with an attached neoprene sock. This sock is waterproof but doesn’t offer the same protection from the elements so most divers most divers will want to wear a boot over the top, such as traditional wetsuit boots for scuba divers. 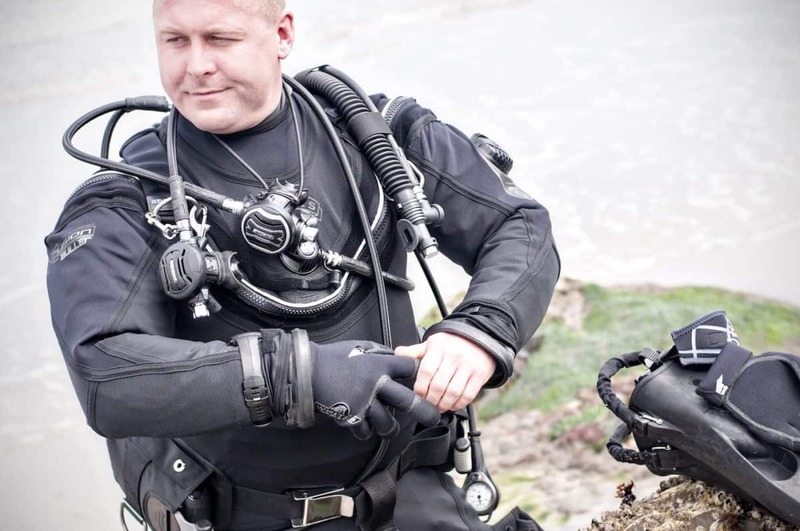 The valves on your drysuit allow you to adjust your buoyancy. 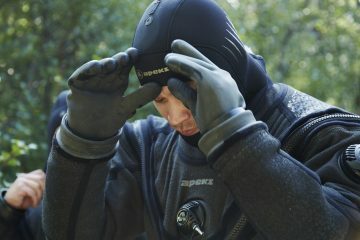 As you ascend, the air trapped within the drysuit will expand and the valve allows you to release that pressure. An inflator valve will connect to your first stage which allows you to add air to the suit, while the dump valves are either manual or automatic. An automatic dump valve will release excess air when there is too much pressure. The dump valve should be situated on the arm between the elbow and shoulder to allow for effective air release. Wrist and neck seals are crucial for keeping you dry. They need to be tight enough to stop any water getting in, while not cutting off any blood supply. They are usually made of neoprene or latex rubber but can also come in silicone. You may wish to purchase a spare set of seals to have handy in case of any damage to the existing ones. 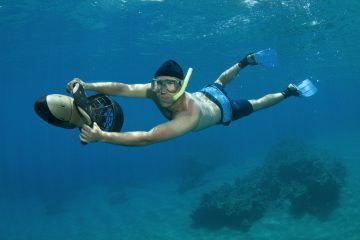 Latex seals are widely available and affordable, although silicone seals may be a better option for divers with a latex allergy. Neoprene seals can stretch but not as much as latex or silicone. Be prepared to invest money into the maintenance of your dry suit. This will keep it in the best condition possible and increase its longevity. Keep in mind what potential maintenance or repairs you might have to pay for during the dry suit’s life, such as valve repair or new seals. While wetsuits hug your body, a drysuit should be a looser fit. It needs to be loose enough so you can wear thermal garments or other suitable clothing underneath. However, the seals around your neck and wrists need to be tight to keep water out. 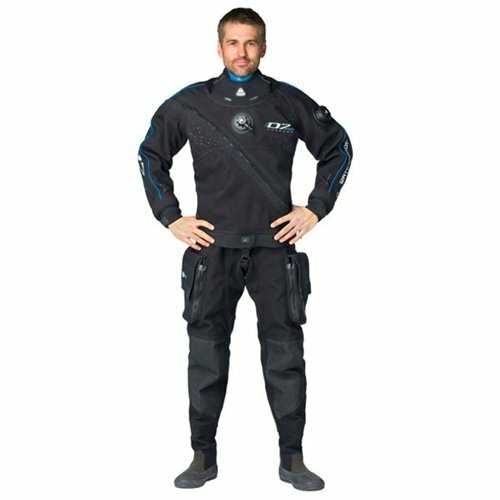 You may wish to look for a drysuit with thigh pockets to allow you to store items such as a slate, torch or other tools. The thigh is an accessible area for a pocket.